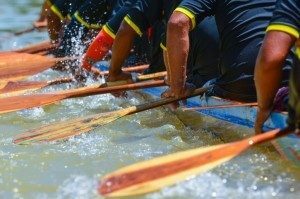 What Team leadership Skills Are Key to Shifting A Group From "I" to "We"
How good your team leadership skills are, is often the key differentiating factor between getting average and great performance. Recruiting a bench full of power hitters, star pitchers, and fleet-footed outfielders does not, of itself, create a great team. In order to win games, these players must function as more than the sum of their parts. They need to put aside their individuality, at least in this context. The paradoxical nature of teams is such that each person builds the collective strength and value of a team—but only if individuals are willing to let go of their personal identity. Isn’t a team a composite of different individuals, each of whom brings diverse thinking, skills, talents, and viewpoints to the table? Yes, and the combined identities of each individual coalesce into a new team identity. A new culture is created—one that is not based on any one individual’s viewpoint but on the perspective of the team. In effective teams, members—for the good of the whole—choose to forgo being the director. They give up individuality and boundaries. Because this is a difficult concept, particularly in a national culture that prizes individuality, let’s take moment to examine it in more detail. Think about a situation in which a team member poses an idea or a challenge, and a second team member reacts emotionally to it. The first may not—and, in fact, probably did not—mean for the comment to be malicious or contentious, but that’s how it was perceived. This type of scenario could easily devolve into conflict. When folks let down their personal boundaries, they allow other people to communicate their feelings. In this case, the first person may be encouraged to explain; the second may withhold judgment or suspend an emotional reaction. As long as it is constructive, this is a powerful way to build team culture. It allows each member to learn more about their teammates and themselves. When a group of people starts to function as a cohesive team, they develop a level of dependability. The most worthwhile part of being on a team is that folks start depending on others’ input to be constructive, not destructive. They know that their participation is going to help move everyone down the road towards the vision. One of the most important functions of a leader is to ensure that people are heard and that their ideas are acknowledged. The goal is to focus on how they can use differences creatively to generate new ideas or to approach challenges from innovative perspectives. The concept of listening without judgment is important on any team. The reason why teams fail is because someone has a negative reaction to an idea they are hearing (i.e., it doesn’t fit with how he thinks it “should be”). If the leader isn’t careful, that person can become an outcast. He may shut down and cease to participate in a positive way. In healthy teams, divergent thoughts can spark new ideas. When everyone is listening clearly to other perspectives, it can drive innovation. Again, people have given up their individuality; they don’t become attached to their own ideas for the sake of their egos because they know the team comes first. My consulting partner Robert Lanier wrote; There are two interrelated brain systems that can be leveraged to stimulate new ideas. One system is called First Person and the other is called Third Person, named by neuroscientists who have imaged them and identified their functions in areas of the brain that control planning and problem solving. First Person helps us access our existing ideas about a topic. Third Person helps us access our understanding of how others think about a topic. They inhibit each other, which means we can’t be in both modes at the same time — we are either in First Person or Third Person mode at any moment, but not both. A leader can’t expect to resolve conflicts or disagreements in the course of a single meeting, which is actually quite a helpful realization. Why? Because third-person thinking can help create understanding and even consensus. When in Third Person mode, the potential for having new ideas about any problem or topic(s) increases significantly. This is because when in this mode, we are actively creating new neural pathways that are based on how others think. And, the differences between these new pathways and our existing pathways can be a powerful source of new ideas. Thus the Third Person is called the “creative” mode. First-person thinking keeps people moving. When in First Person mode, it is very difficult to incorporate how others are thinking. It is also very difficult to generate new ideas. Our attention and energy are focused on finding and advocating our existing ideas and comparing others’ ideas to our own. It’s the type of consciousness brought to meetings, for instance. Information is taken in, which produces initial reactions to thoughts or ideas that do not conform to the listener’s current belief systems. One of the most common reactions to such input is the desire to rebut what they’ve just heard or even dismiss it! Better, though, is to suspend that initial reaction and just absorb. Later, when they’re sleeping, gardening, or engaging in physical activity, their brain flips a switch to third-person thinking. They figuratively—or literally—“sleep on it.” Then, their unconscious brain begins to work on the ideas or thoughts, rationalize them, and reconcile them with their own thoughts and beliefs. When they’ve had this time to rationalize the new information and integrate it with their existing thoughts, it often results in situations where they say, “I have a great idea!”—perhaps the same or similar “great idea” they heard yesterday, only now it has been accepted by their unconscious mind. Another paradox of teams: The most productive thing to do after a meeting is to play a game of volleyball, or just go home early and let ideas have a chance to “marinate” overnight! What happens when teams meet often? The information picked up from the previous meeting affects the attitudes and perspectives of people in the next meeting. Again, this is because the unconscious brain has had a chance to come to grips with new ideas and create new neuropathways. This is where new ideas, and acceptance of them, are born. Team leadership skills are critical to get the best out of your combined individual talent. When teams come together, they use their strengths and talent to advance the whole. For example, a pitcher does his best in order to put another entry into the W column or a batter hits a sacrifice fly to advance a player to third. The team will win far more often than it loses.